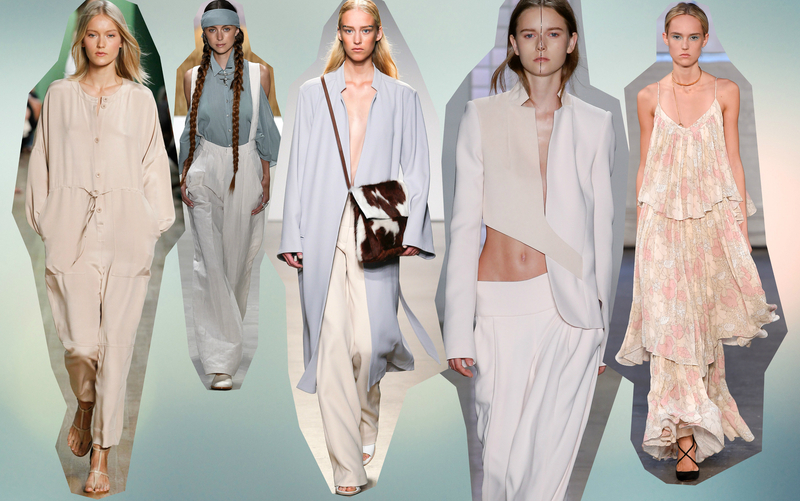 Pastels come around every summer/spring season on the runways but New York fashion week made me pay attention to faded tones. This kind of light spring softness makes me feel carefree only by looking at it. So for next spring one of the trend messages the designers send us is clear. Not only strict lines (like Givenchy’s women suit) but also wide cuts will make our wardrobe.